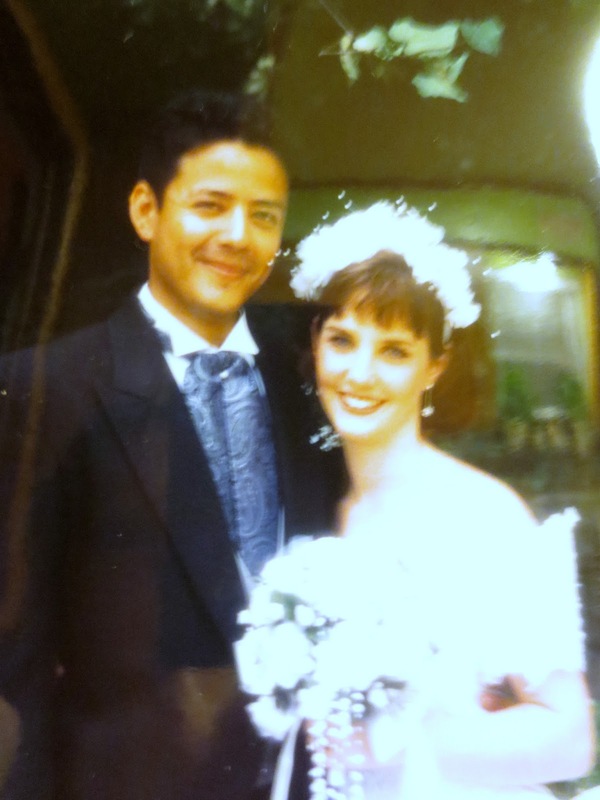 Back on this day, in 1994, Fermin and I tied the knot. Nineteen years ago! Although Fermin and I went to the same highschool and went on one date in 11th grade, it wasn't until a few years later that we actually started dating, and we became boyfriend and girlfriend. We started dating when I was 19. I was only 19! 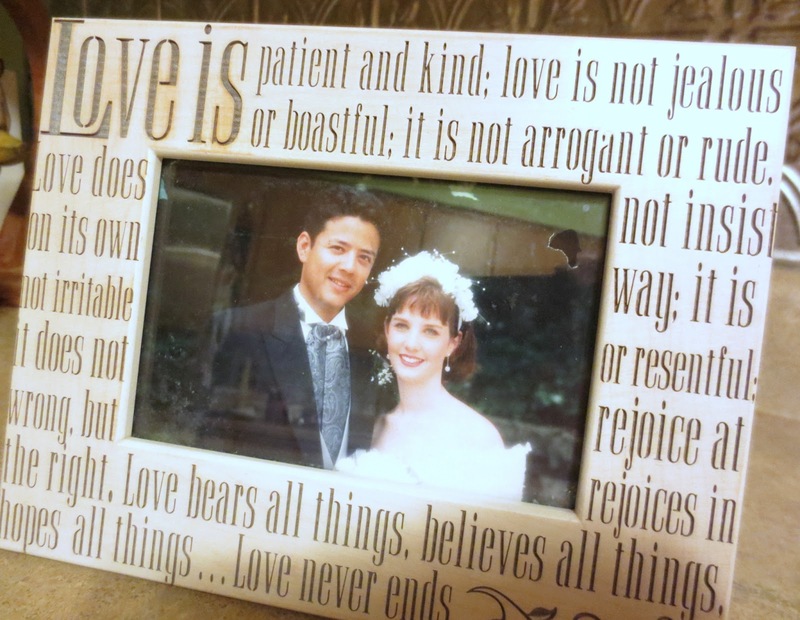 Like the awesome song by the Old 97s goes, "19, is not the age of reason..." But somehow, something magical happened at the age of 19 for me, and I was smart enough to recognize and hold onto it, or as the case may be, Fermin. Us- right around the age of 19. I got lucky. I married my best friend. We were probably too young to make good life-long decisions back at that young age, but somehow, luck has been on our side, and as we've grown up, we've grown together, rather than apart, as can sometimes happen. I don't take what we've got for granted. We've had ups and downs, because that's just the way love and life go. But I plan on hanging on, for the rest of my life, to the best thing that's ever crossed my path. Oh wow, congratulations!! 19 years! You were a young bride! 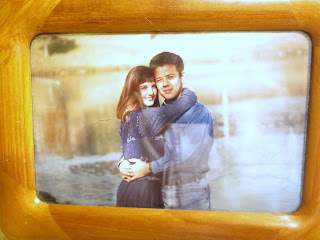 My parents have been together since the sixth grade, if you can believe that! It truly warms my heart to know you both. I know I said it on FB, but HAPPY ANNIVERSARY (again)!